A Pacific Northwest champion, Sonny Johns of Tacoma was the Washington State Archery Association’s Junior Champion from 1937 through 1940. 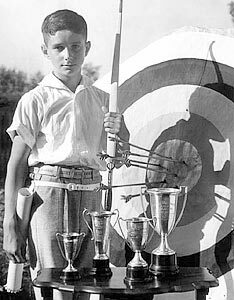 In 1938, Johns also won the National Archery Association’s Junior Championship in 1938. 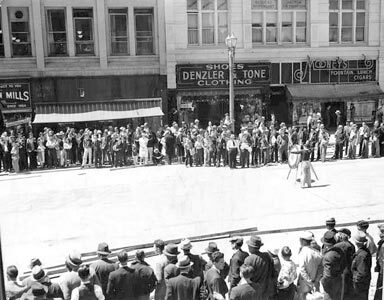 Here he is shown with several of his trophies and giving an exhibition in downtown Tacoma in the 1930s.